Iain Macleod, head greenkeeper at Tain Golf Club, has been a great help to us recently with work on the pitch. 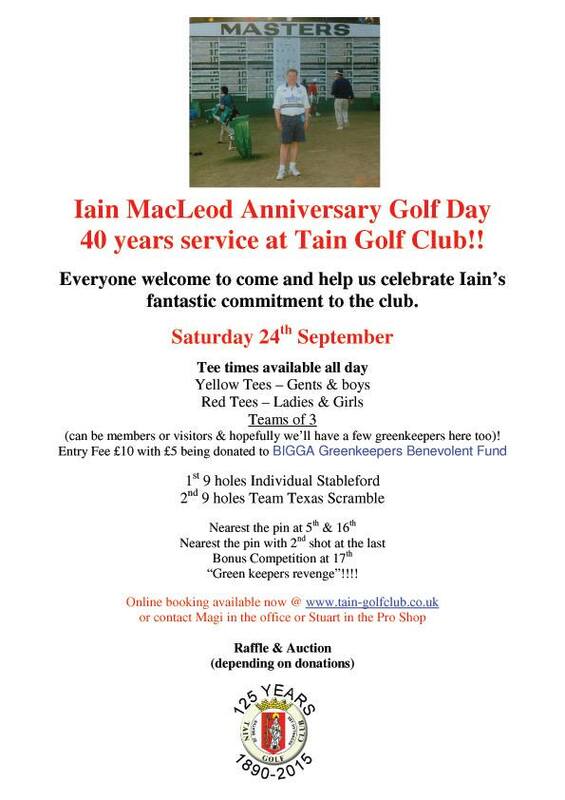 Why not come along to his anniversary golf day to show your appreciation. So why not golf in the morning, grab a bite to eat then come along to The Links in the afternoon and watch us take on Golspie Sutherland!